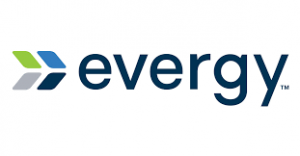 Electricity supplier Evergy, Inc., the newly-created firm based in Kansas City, Missouri says its third quarter earnings shot up from $158 million a year ago to $355 million this year. The $355 million translated to a $1.32 a share earnings, a 21 cent increase over what shares earned at the end of the third quarter of 2017. Evergy Inc. is the result of this year’s merger of Westar Energy Inc. and Great Plains Energy which is the parent company of Kansas City Power and Light and KCPL greater Missouri Operations.